Serious beer at Nowadays, on tap and in cans to go. 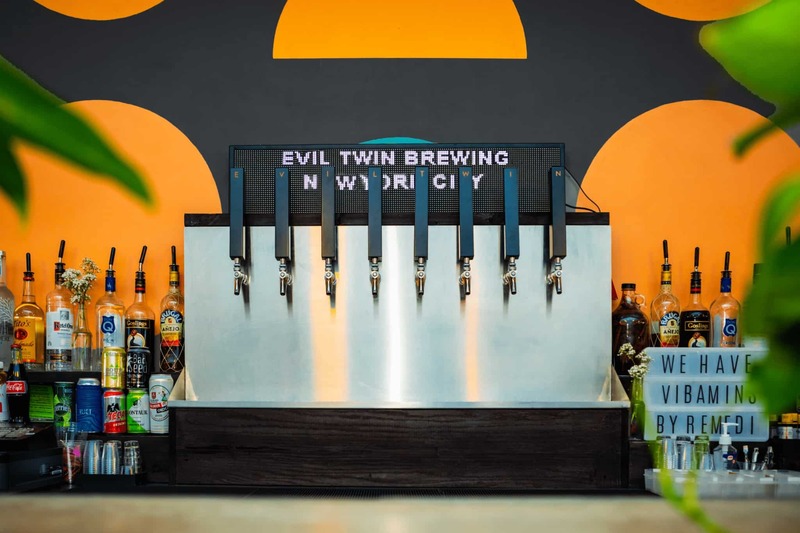 We’re starting our taproom with a pop-up from Evil Twin Brewing NYC. All eight of our tap lines will be pouring beer brewed freshly at Evil Twin Brewing’s new facility around the corner on George Street. This’ll be the only place to taste the new Evil Twin Brewing beers in all the land. Cans to go will be Evil Twin Brewing classics. Cheers. *You can stick around for our Sunday dance party cover-free if you’re inside before 3pm.